Osamu Tezuka, the great pioneer of manga art, has left numerous masterpieces in history of Japanese comics including "Kimba the White Lion". 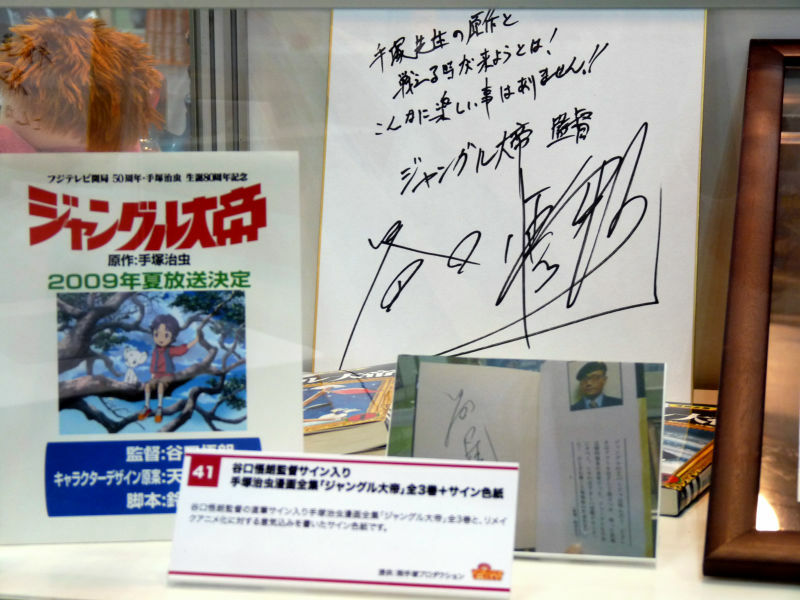 Originally titled "Jungle Taitei(King of the Jungle)", it was serialized on "Manga Shonen" magazine from 1950. 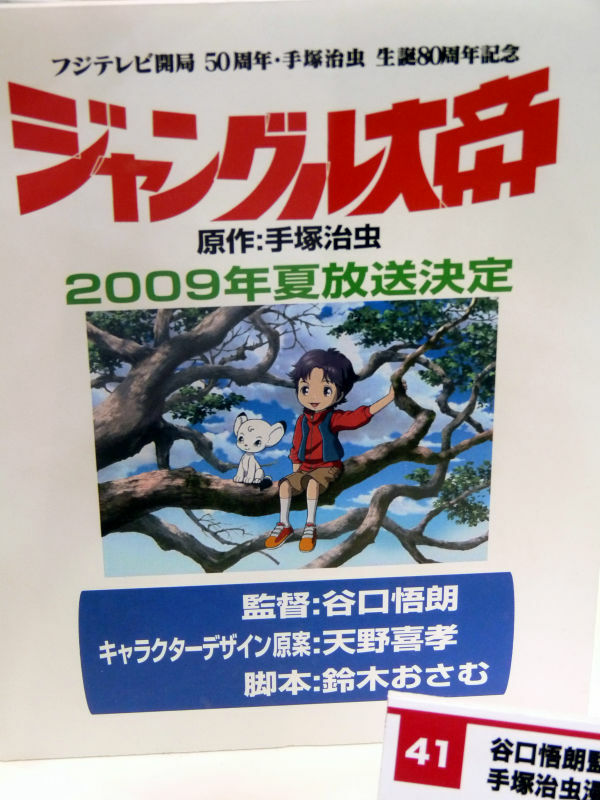 Focusing on Leo the white lion, the story depicts human scrambling for legendary Moonlight Stone. Famous characters from Tezuka's star system such as Roger Ranger and Dr. Mustache appears in the story. 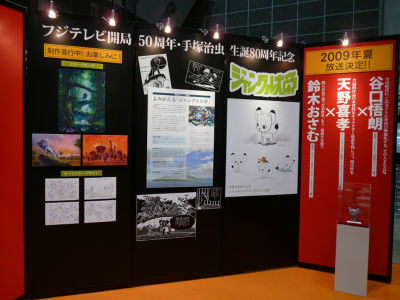 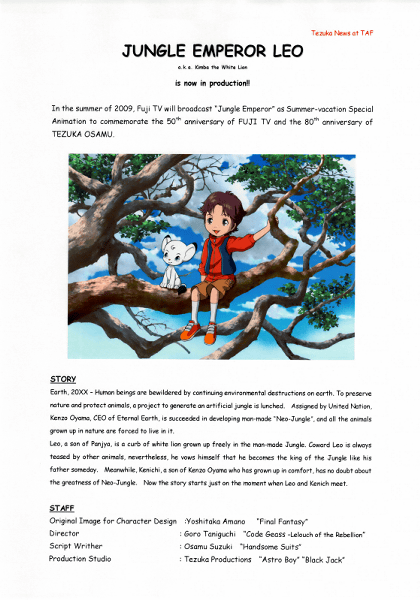 At Tokyo International Anime Fair 2009, Tezuka production announced of new "Kimba the White Lion" to be adapted into TV anime this summer. From its TV adaptation in 1965, it has been on TV anime, theater movie and OVA. 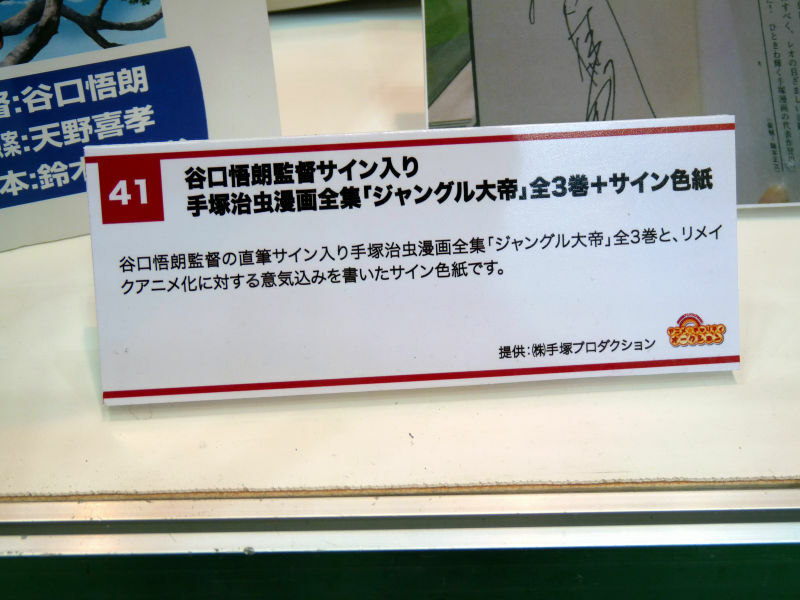 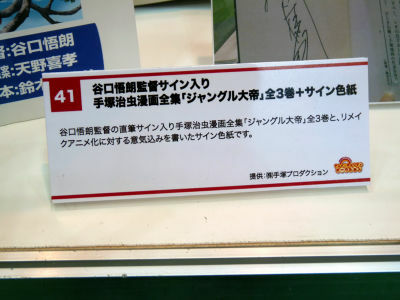 This will be the fourth TV adaption commemorating the 80th birthday of Osamu Tezuka and 50th anniversary of Fuji Television establishment. 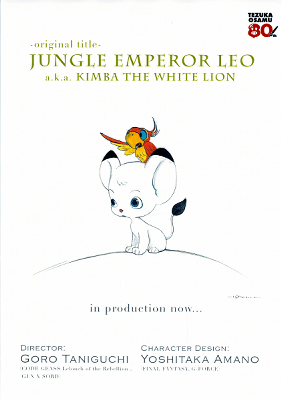 Poster announcing the production of new "Kimba the White Lion"